For this application the Universal controller is only used for measuring the differential pressure and for transforming the measured value into a linear voltage signal. Connections for setpoint value signal and actuator are not relevant, and neither are the corresponding technical data. 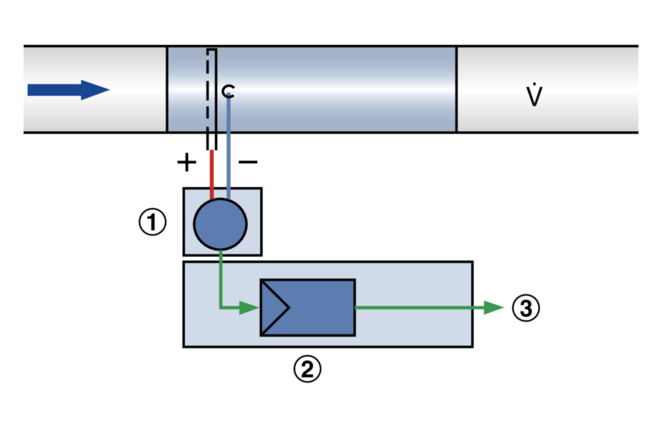 The volume flow rate is determined by measuring the effective pressure. For this reason the measuring unit is fitted with an effective pressure sensor. 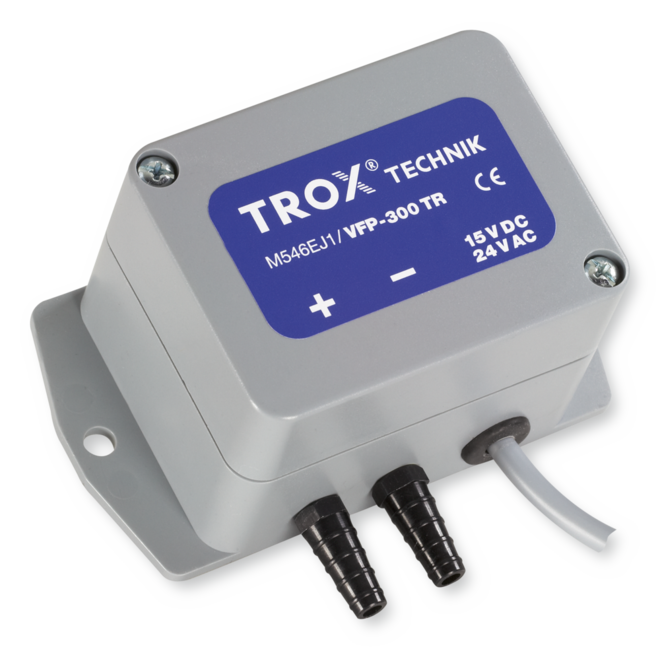 The static differential pressure transducer (diaphragm pressure transducer) transforms the effective pressure into a voltage signal. The volume flow rate actual value is hence available as a voltage signal. The factory setting is such that 10 V DC always corresponds to the nominal volume flow rate (Vnom). Any attachments are to be defined with the order code of the volume flow rate measuring unit.